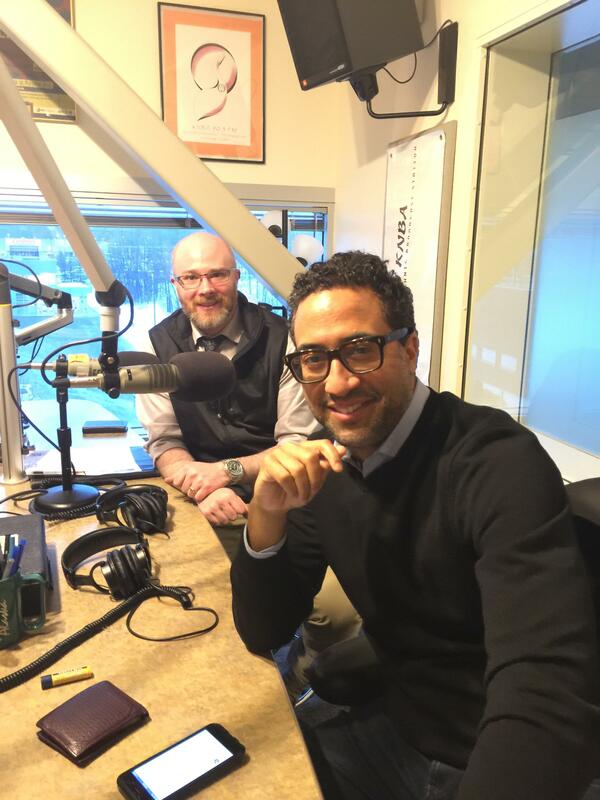 Nick McDermott and C. Brian Williams at KNBA - Step Afrika is in town this week, with several opportunities to see and hear - most prominent is the Friday 7:30 performance at the Atwood Concert Hall. C. Brian Williams, the founder of Step Afrika, and Nick McDermott, Marketing Associate with Alaska Junior Theatre visit with Morning Line's Danny Preston about upcoming performances this week - its the second time Step Afrika has come to Alaska. Wednesday at 4pm, the Library Dance Demonstration and Craft and the Mountain View Public Library off of Bragaw. One of the things Alaska Junior Theatre is known for is the school performances, and this Step Afrika is going to be adding high energy to multiple school shows this week, also Tuesday and Wednesday, 10am and 11:45am. For more information contact Alaska Junior Theatre at 272-7546. In June, the Cook Inlet Tribal Council's Schoolyard Theatrical Music Video Camp spent a day at KNBA to learn a bit about microphone use and practice delivery. The students consisted of seven creative middle school students, while a handful of high school student interns as well as Academic Instructor Cail Hubert & Counselor Kimberly Smith provided direction. The following Public Service Announcements are the products the camp produced - Enjoy!